The following book review of Death Cruise by Dan Anderson appeared in the January Issue of The Infinite Writer magazine. Death Cruise was also selected as The Infinite Writer's Book Of the Month. "Every now and again a writer comes on the scene with a voice and style that is uniquely his. Author Dan Anderson is, happily, one of these. 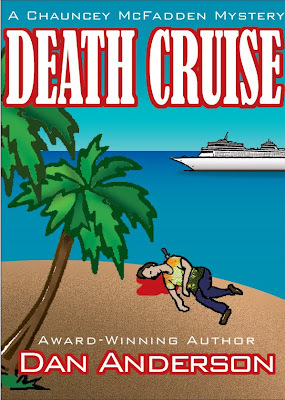 In his new book, Death Cruise, second in the Chauncey McFadden series, it is obvious why Dan is considered one of the most fascinating and entertaining voices in the mystery field today. 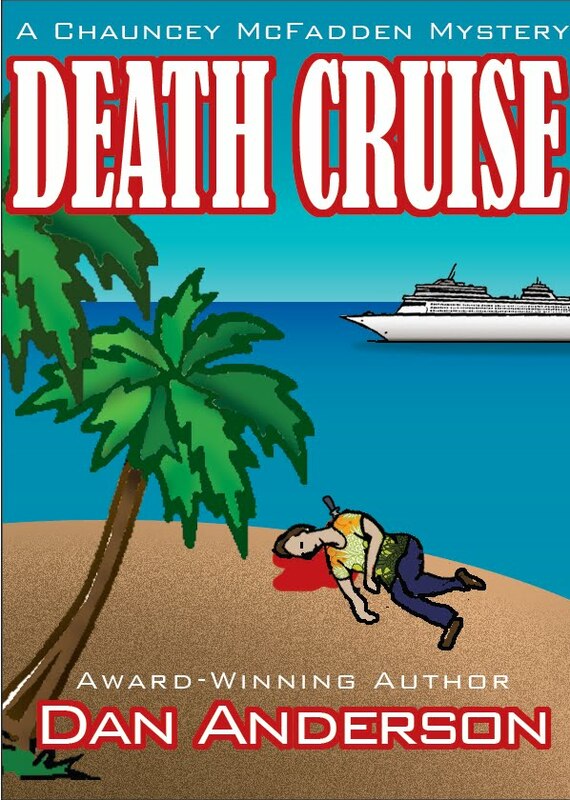 "Death Cruise follows in the award-winning tradition of the first Chauncey McFadden novel, Bad Vibrations, which won numerous literary awards including the FWA Royal Palm Award, the Books & Authors Murder Mystery Book of the Year, and the Independent Publishers IPPY Book Award-Silver Medal, Best Regional Fiction. His latest offering is destined to follow in its predecessor's footsteps. 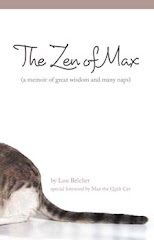 "The opening line grabs the reader's attention and urges him to turn page after page. There is never a let-down. Anderson's descriptions and imagery fire the imagination and set the reader right in the middle of the action. He is a master at combining edge of the seat mystery with hilarious asides that temper the graphic descriptions. This reader may never again look at a chicken the same way. "Chauncey McFadden, a rotund Los Angeles P.I. receives a frantic phone call from the president of a Miami-based cruise line. Two employees have been killed in port and Chauncey is hired to solve the crime and prevent further atrocities. The portly, wisecracking Chauncey has limited homicide experience, but naively accepts this job thinking it will be little more than a free vacation. However, things quickly fall apart as the body count climbs on board ship and in Caribbean islands ports of call. A shipment of drugs being smuggled into Miami disappears from the ship before its delivery, which unleashes a vengeful vendetta upon everyone in its path." Dan can be contacted at dananderson305@gmail.com, his website at www.murdermayhemmalice.com, his Facebook page www.facebook.com/dan.anderson2 or his Linked In website http://www.linkedin.com/pub/daniel-anderson/10/558/950.